Earnt the right to be our EFL, FA Cup and CL dead rubber keeper. Signed an extension till 2021.
good news, was good business from van Gaal to snap him up on a free from Sampdoria. Nice and solid and made one very good save at 2-0. He's a brilliant backup keeper. best 2nd GK in our team. very happy to have him as De Gea backup. Cool as ice in that game, made it look too easy and I know it was only Burton. It seems he isn't as nervy as he was in his first season. 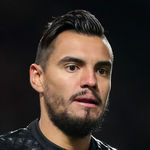 This article mentions that Romero's kept 22 clean sheets in 25 competitive games for us. He also hasn't lost a match whilst in goal for us since the 2-1 defeat to Midjyttland (however you spell it) in February 2016. Great save at the end there. We're lucky to have him. He's good enough to be number 1 at majority of the clubs in the world. Too good to be a number two. I'm amazed someone hasn't lured him away. what an amazing save. Surprised he is happy to be no 2, as could get into alot of CL teams. His improvement is just remarkable, he is so confident in catching the crosses. Class goal keeper. He actually wants to be a Manchester United nr. 2. Collect a salary and play from time to time. Probably the 4th best keeper in the league behind De Gea, lloris and courtois. Or on that level below those 3 with a couple of others. Quality. Great game. 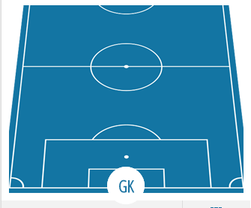 Always great to have a backup GK as him. Very reliable. Deserves to be a starter somewhere. But if he's happy, I won't complain! Reliable as always and fantastic save at the end. So happy to have him. Thanks Louis. Really solid and confident looking out there. Hope he's happy to stay. Great reaction save near the end. Doesn't like English football though does he? Some say he's still chewing that gum.. Controversial claim - but has he been, consistency wise, the best of LVG's signings? I'd argue yes. When you consider some of the keepers around, it’s surprising that he was without a club when we bought him. Wont usually get a mention after a game like this but I thought his handling tonight was very good, he had no fault in the crap performance. Quality save, he is the best number two goalkeeper we've ever had. I used to rate van der Gouw as that but Romero is far more talented. Good performance. Had to deal with a couple of less than ideal back-passes on his wrong foot. Several good saves. Just one moment when he punched a cross that he could have caught without much difficulty as there was no challenge. Typical solid performance from Romero. Can't fault him. He made important save with his leg. Solid performance again. Hopefully he is always happy to stay with us for long time. I like him and he's done well for us. That said, three years ago he was playing in the World Cup final, I wonder if he'll be happy to stay as a reserve 'keeper, this will surely jeopardise his international career at some point. He wasn't first choice with Sampdoria or Monaco, he's already 30 and never really had a chance to look for a starting spot in a big club so I'd find really weird if he suddenly developed an ego and wanted to leave his spot at United to take a chance of maybe starting on some 2nd tier German, Spanish or Italian team. 30 is still relatively young for GK , i think he is here because he genuinely love being at united. If he actually gets an approach from a team in one of the big leagues to be their #1 (and I wouldn't be surprised if that happens) he would probably be tempted. But I don't think he'd be interested in leaving for a lower division team.